One of the reasons my posting rate has been down lately is that we took a trip down to Vancouver and the Island for a visit and a friend’s wedding. We jumped at the chance to take Air North, even though it meant a couple ferry trips over a short period of time. We ended up taking a Harbour Air float plane back to YVR instead of a lengthy wait-ferry-wait-bus-wait-bus trip to the airport. Anyways, the Air North rates were so good, that it actually would have been cheaper to do float planes to and from the island compared to Air Canada. I can’t say enough good things about the Air North experience. No extra baggage fees, reasonable prices, friendly staff, a free snack and a warm cookie – what’s not to like. Sure, there’s no TVs in the seats or in-flight entertainment, but the last two Air Canada flights I was on didn’t have them working so I just get onto flights with the expectation that I’ll have some time to kill. So, how about that free food? So let me tell a short story before I get into further thoughts. I used to work in the media in Vancouver. I made a pretty paltry wage and worked ridiculous hours. Making ends meet in a city like Vancouver could be tough (and I say that as a currently unemployed person!!). Anyways, the one thing we could count on at the radio station was free food from time to time. In order to eat it, we had to promise we would not give the company that dropped it off any favourable coverage. But frankly, it was gone before anyone even knew where we got it. To me, free food was the best food. It was food I didn’t have to budget for, make or consume while sitting through a terrible date. To this day, free food is still king. I don’t know how to turn it down. 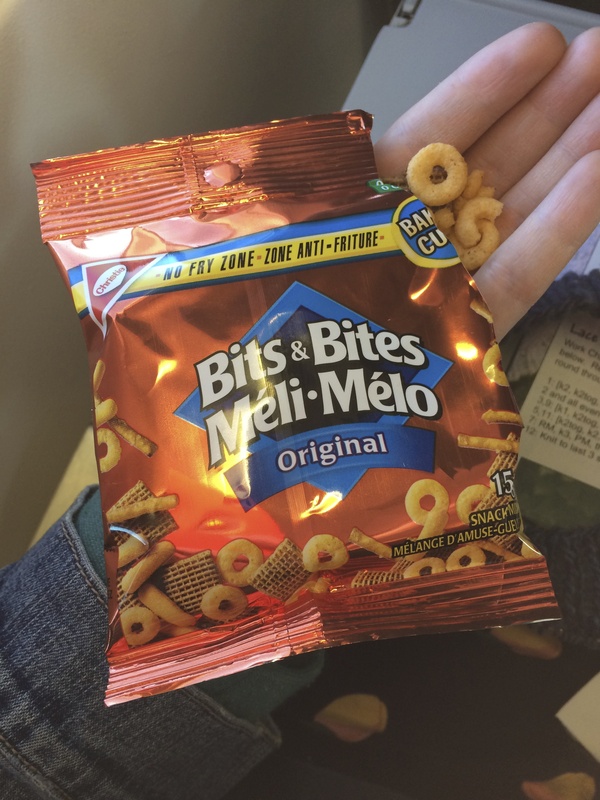 Many of the passengers on both directions of the flight turned down the food. Despite having eaten at the airport waiting for our plane, I still took what was offered to me by the fine folks of Air North. 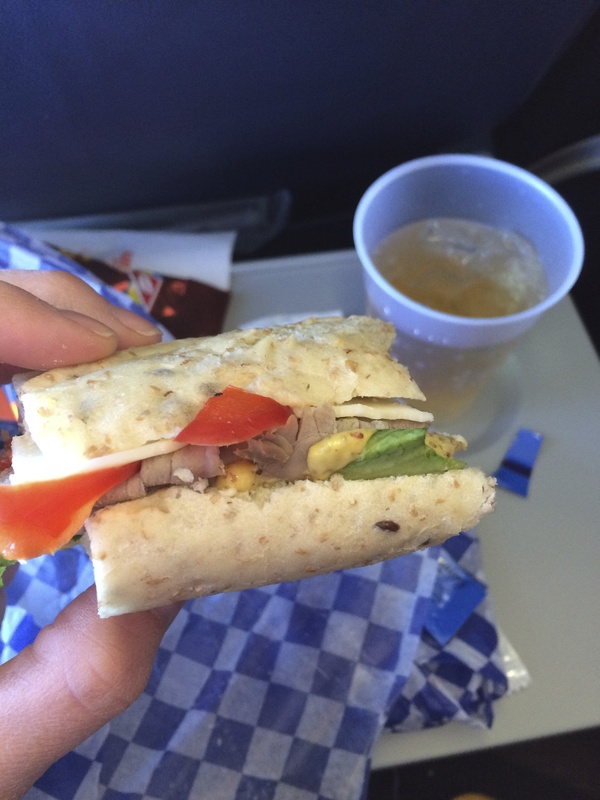 On the way down to Vancouver I got: a sandwich (I think it was roast beef), bits and bites, your choice of complimentary beverage and a warm (double chocolate) cookie. 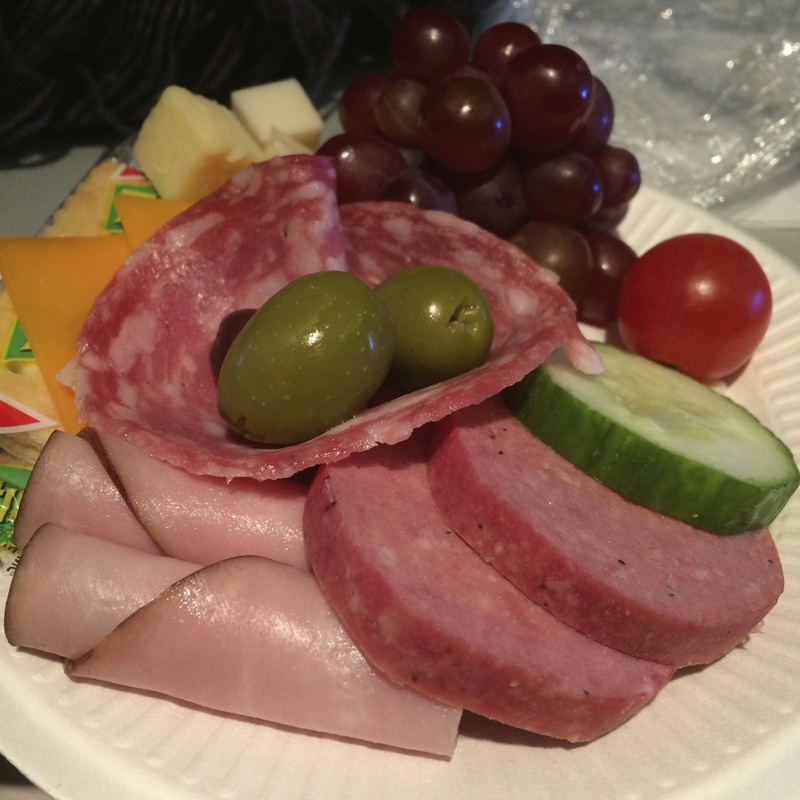 On the way home from Vancouver I got: a meat plate (and my husband opted for the hummous plate), bits and bites, your choice of complimentary beverage and a warm (double chocolate) cookie. Now, if I had any complaints, it would be the fact that I got the same kind of warm cookie both times and thus, I have no idea if the other warm cookies are any better or worse. But I wasn’t going to ask for a different warm cookie because I was on a plane and so pleased that someone was giving me something for free!! 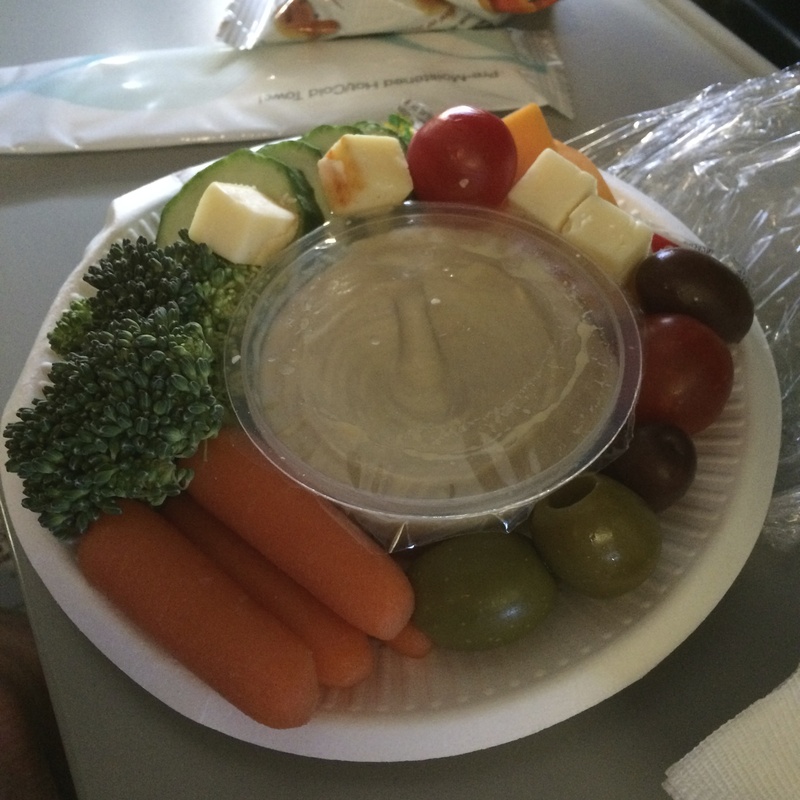 Anyways, I thought the food we got was as good as anything I’ve paid for on a flight. And it was just the cherry on top of a really nice experience. I look forward to my next Air North flight (in August). Posted in Thoughts and tagged Cookies, Flight, Free food, Travel, Yukon, YXY. Bookmark the permalink.